My collection of projects, events, adventures and happenings. Preparation you say?! ‘One of the main reasons I’m using AS paint is so I don’t have to prep!’ I hear you say. I’m not talking about prepping what you’re going to paint, as in primer or sanding. I’m talking about your materials! Make sure you have everything you need before you get started. There’s nothing worse than getting most of the way through a project and realising you’ve forgotten something. I’ll mention things throughout the post and there’ll be a full list at the end. Okay, I lied a tiny bit… You do need to clean your piece before you begin or you’ll be painting with dirt! Ewww. A simply light wash with soapy water will do the trick with most pieces. For clean items, I usually just use a micro-fibre cloth to get all the dust off. 3. The fun bit – painting! This is the best bit. However an important thing to consider is your brushes. These are something you should take time to consider and also invest in. I have one large AS brush and a small and medium ‘cheaper’ brushes I bought from Amazon (see link at the end). Now these cheaper brushes are all well and good but they seem to swallow the paint and leave quite a textured brush stroke. My AS brush is an absolute dream. It spreads the paint out well, giving good coverage and leaves a smoother brush stroke. I use my AS brush as my main one and use the other two for detailing which my big brush struggles to get into. As for the technique for brushing… There is none! That is the beauty of AS paint. It covers anything, the colours are beautiful and it’s so versatile! How good is the first coat? I recommend sanding lightly between layers of paint. This creates a smoother overall look to the piece. However this is totally down to the finish you want. 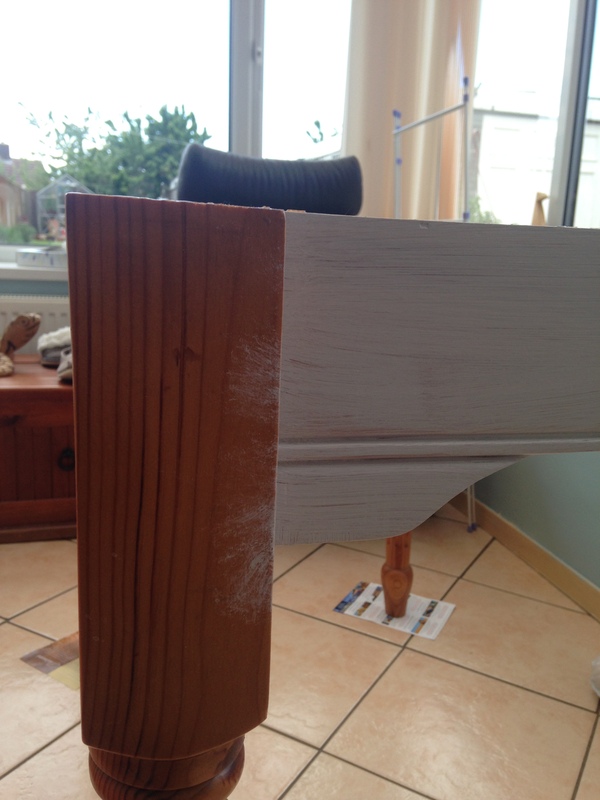 Sometimes paint can collect in edges of details and sanding can get rid of this. How many layers of paint is personal choice but for most pieces I do two coats. I have yet to try two coats of two different colours but it is on my to do list! Have you guys done this? Let me know! Once you’re happy with the paintwork, it’s time to wax! I’d recommend waxing your piece if it will get any use because an un-waxed piece will be easily scratched. If it’s a lonely side table in the corner of the room, this may be okay. 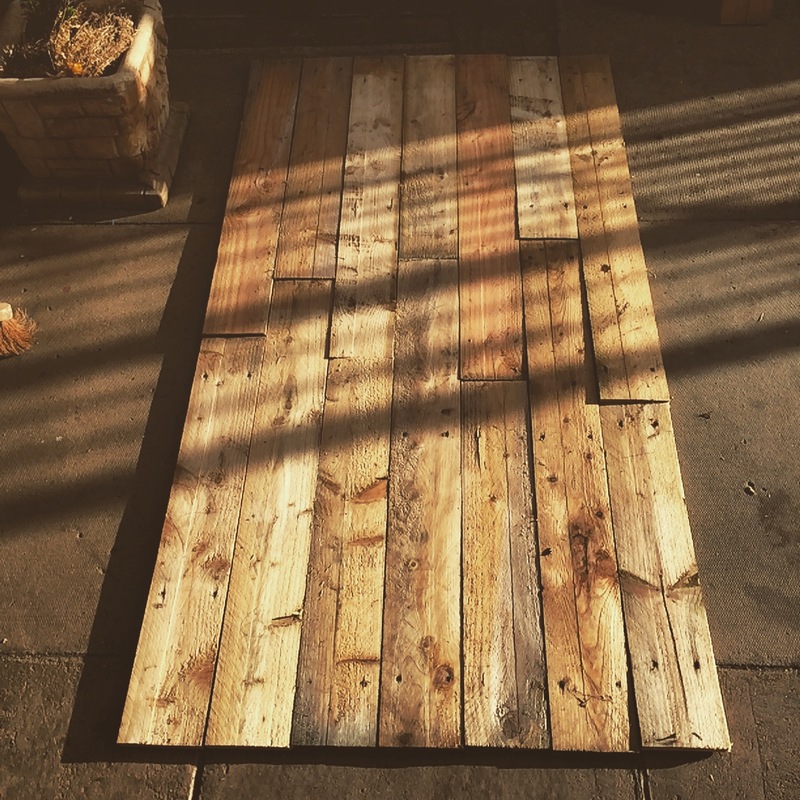 However, most of my pieces will receive some heavy use (my most recent project being a dining table and chairs!). I wax heavy-traffic pieces with 2-3 coats of wax. My technique is to scoop out some of that lovely wax with a knife onto a paper plate. I then use my AS wax brush to work some of the wax in to the brush. Then with a mixture of horizontal/vertical and circular strokes, work the wax into the paint. Concentrate on a small patch at a time and use a micro fibre cloth to gently rub off the excess and work it into those little nooks and crannies. You’ll find the wax slightly darkens the colour but it adds depth and really does protect it. If you want to distress your piece, do this after the first coat of wax. Using a softer sandpaper, distress the piece in places where it would naturally have if it was an old piece i.e. on the corners. Once you have your desired level of distressing, re wax the piece. If you want to achieve a real aged look on a piece, use dark wax in place of the second coat and re-seal with clear wax afterwards. You don’t want to use dark wax on the entire piece, use lightly in areas to accentuate certain areas of the piece. This may sound a little vague so search Youtube and Pinterest for some really good tutorials on how to successfully use dark wax. Once you have finished your painting/waxing, it is super important to take care of your brushes – even your cheap ones! 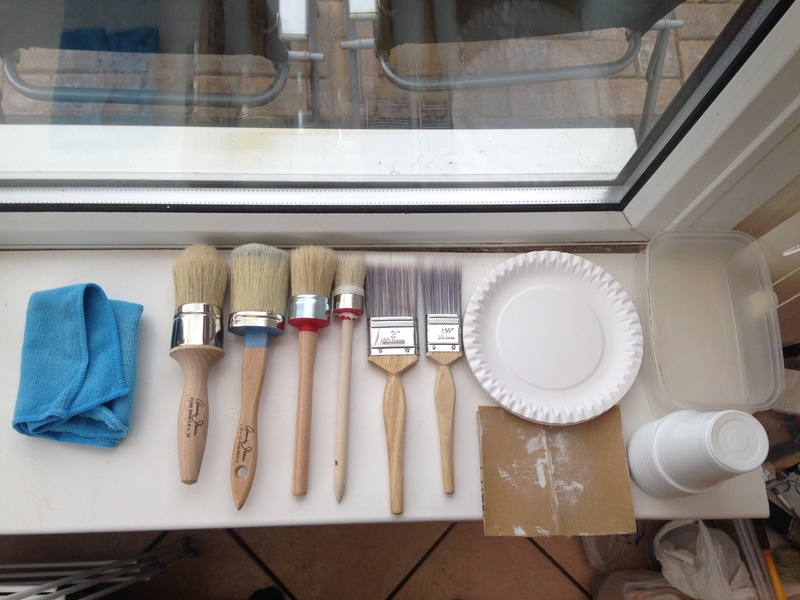 I use baby oil to cut through the paint, then use washing up liquid to clean the paint off. By squirting the oil/washing up liquid into the palm of your hand, then working the product into the brush and rinse it out. I then use the edge of the sink to dispel all of the water and then wrap the brush in a kitchen roll and putting them in a mug face down to preserve the brush shape. After a couple of hours, I remove the kitchen roll and leave the brush facing up to dry. Once they are dry (usually overnight) I rub a little bit of baby oil into the bristles to keep them soft. The natural bristles will split and dry out over time if they are not cared for properly. So protect your investment! Thanks for reading and please comment and/or follow my blog for email updates. 4.5 weeks into the house buying process – updates and promises! We got our Homebuyers Report back and in short, all is well! I read some real horror stories online before hand and was very nervous about receiving the report but thankfully, the house isn’t falling down. The Bank organises the valuation with the survey for the Homebuyers Report and this occurred two weeks ago on a Thursday, come Saturday we had our report back! Speedy, eh? So, all very fixable issues 🙂 the bank deemed the house worth the money they are borrowing us and they got in touch with our Solicitors to let them know that the money was ready to go when the time comes. Good stuff! Since the last post, the searches has been requested on the property. These are requested by our Solicitors from the Local Authority. These include environmental changes, water drainage and other fun info like that. We also have to have a mining authority search due to being in a mining area. Once these are back and (hopefully) show no major issues – like they are going to build a road through our house – we can work towards a completion date! These can take anywhere from a few days to a few weeks to come back. Our LA website states they aim to return within 10-15 working days so we shall see! The tabletop has been assembled and stained and let me tell you, it looks fab! Can’t wait to show you the finished project! 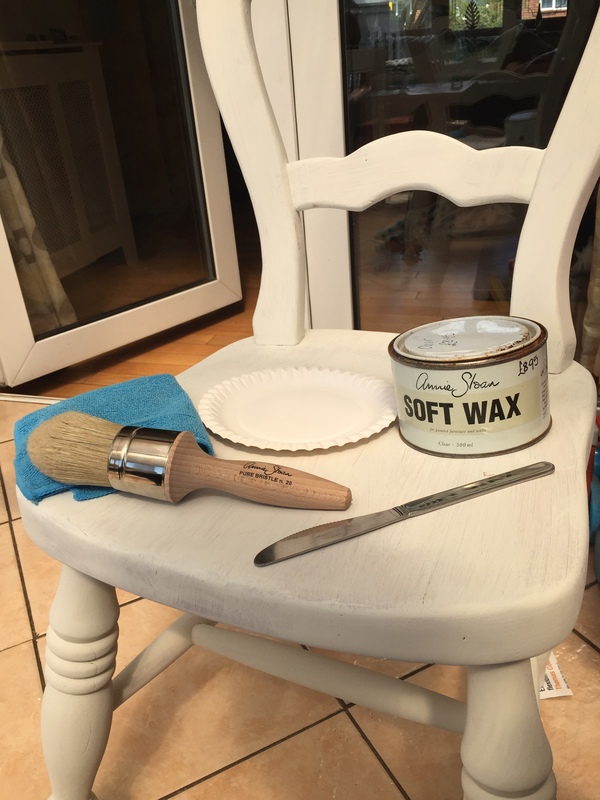 finish painting the chairs and table – I have half term next week to do this! 2.5 weeks into the process – updates and projects! Here we are! Two and a half weeks since our offer was accepted and it seems sooo much longer than that. Anyway, onto the good stuff. Our Mortgage appointment went well. We have a fantastic Mortgage Advisor who since writing the last post, has found us an even better Mortgage product which means he has reduced our mortgage term! Good news for us! This means the length of our mortgage has been reduced and our planned payments have not increased. Our valuation is going ahead tomorrow and after lots of discussion, me and Matt decided to have the Homebuyers survey on top of the Bank valuation survey (you have to have this for your mortgage) but the Homebuyers survey is an optional choice. This is for us, the buyers, and is a large document outlining the condition of all aspects of the house. This may bring to light some major issue that we have previously missed. This cost us an additional £250 on top of the £300 for the mandatory bank valuation and whilst this adds more onto our costs, it is a small amount in the long run to ensure the house isn’t falling down. We should get the report back on Monday so I’ll update you with the outcome of that when it arrives. The Seller has returned his completed paperwork to our Solicitors and there is only one bit of paperwork missing. The Fensa certificate for the windows. This official document will complete the paperwork and means our Solicitors can request the necessary searches on the property and submit our registration of the property to the Land Registry. As the property hasn’t been sold since the law changed in 1990, we have to register the property with the Land Registry before it can be transferred into our names. Good news – it doesn’t stop us completing the sale and getting the keys. Bad news – it’s an extra £95 on our (ever-increasing) bill. Get the homebuyers report back and read through – hopefully the house isn’t going to fall down! PS – I realise my last post may have made Matt sound like he wasn’t excited by this buying a house malarky. Just to confirm, he very much is excited, he just has more concern for the financial side of things than I do. I, on the other hand, continue to expand my ‘Things I Want To Buy’ spreadsheet 🙂 We balance each other out well! I’ve always wanted to learn the art of crocheting and one Sunday afternoon I realised it was time to get cracking! I began with simple granny squares, with dreams of a lovely cosy blanket to wrap myself and swan around my house like some sort of Crochet Queen. The thing that I didn’t realise is that blankets are not created in day, or a week, or a month! It is something to build on over time until I am happy with it. The blanket is still a work in progress so I hope you look forward to that blog post! So to curb my crochet bug, I embarked on some smaller projects. I follow ‘Crochet Club’ on Facebook and they post free patterns every couple of days. The first pattern that caught my eye was a cute little owl design – perfect for my best friend’s upcoming birthday who has also recently embarked on the crocheting journey. Unfortunately I cannot post the actual pattern as is it copyrighted, but obviously I can show you the finished product! up and hey presto! I had my owl. Adding a bit of twine between his ears finished him off spectacularly. My second mini project was spurred on by the birth of my new baby cousin Evie 2 weeks ago. 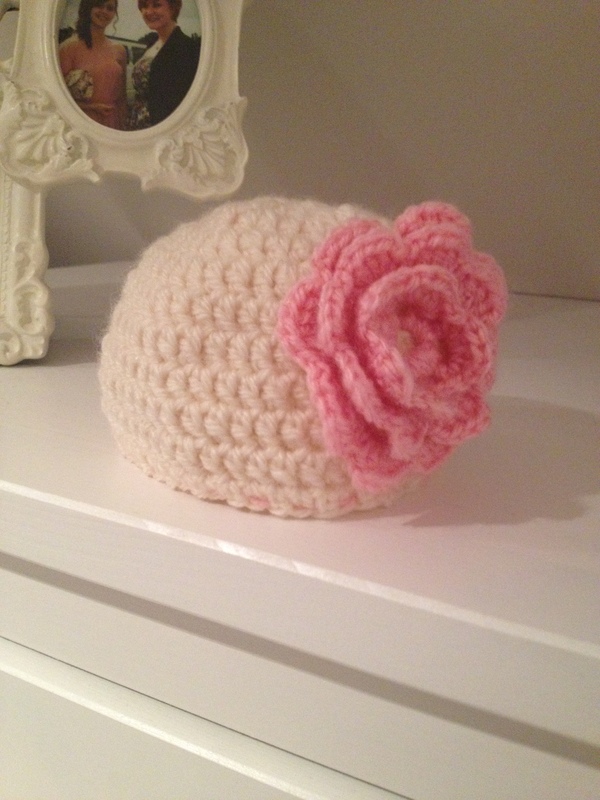 I decided to make her a little hat as she was nearly 6 weeks premature and it was vital she was kept warm when she was first born. 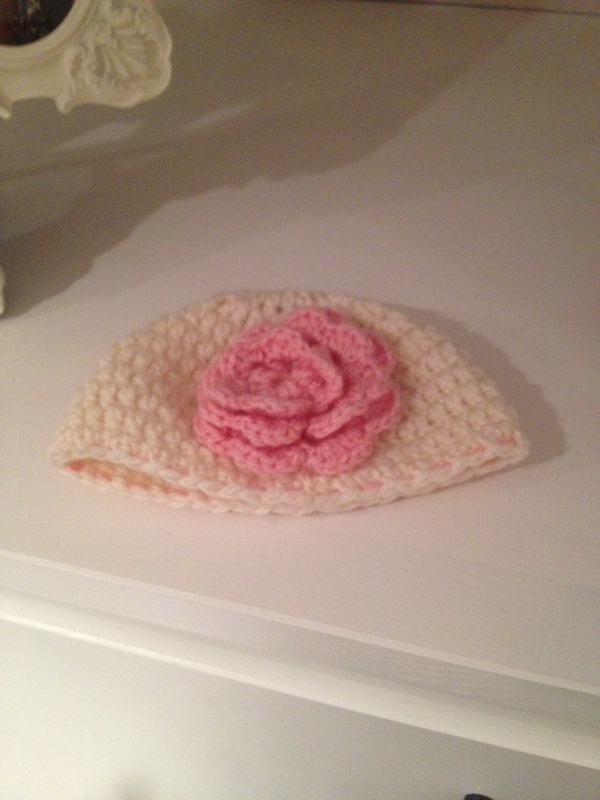 I found a free pattern on the Crochet Club Facebook page and sat down enthusiastically to get cracking on my baby hat. However, the pattern was difficult to follow and understand for me. The abbreviations weren’t explained very well and there weren’t many pictures or narrative on the pattern. I therefore took to Youtube and found the perfect video! The stitch was easier and the video aid and the ability to pause/play the video when I needed to was a massive plus! Within the evening I had my hat! 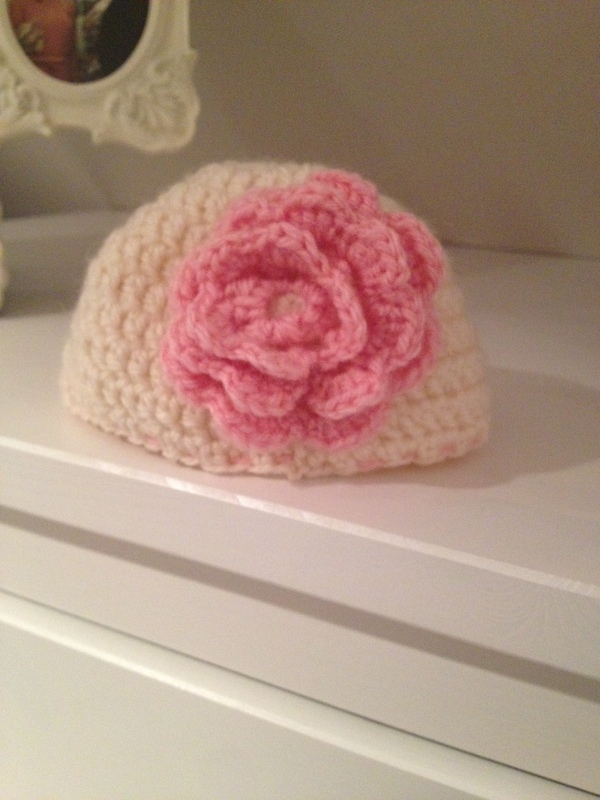 I used a second video to create a pastel pink flower to decorate the hat and to hide the joining stitches down the one side of the hat – clever eh! I plan on making Evie many more things so I will keep you updated on my crocheting adventures!